British welterweight Darren Till says he feels like he "lost" himself over the past year and has not been fully focused after successive UFC losses. Till, 26, was knocked out in the second round by Jorge Masvidal at UFC London last week, six months after his first loss on the promotion to Tyron Woodley. 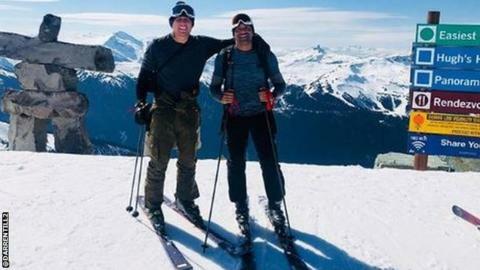 The Liverpool fighter says he has spent the past week skiing in Canada to "revitalise with my thoughts". "I'll be back a different animal," said Till in a social media post. "Cannot wait to be back at the gym Monday evolving and focusing like never before. I owe it to myself!" Till said his coach Colin Heron "is still the best coach and person in this world and we will dominate for years to come". "Last Saturday was a tough night against a strong opponent," he added. "Fight game is a tough one. "Few things need refocusing now, feel like I lost myself the past year and haven't been fully focused to my craft! "I've had a week in this amazing place Canada to revitalise with my thoughts!"